Scrivener is the long-awaited Windows version of the popular project management and text editing tool for writers that Mac users have been raving about for years. 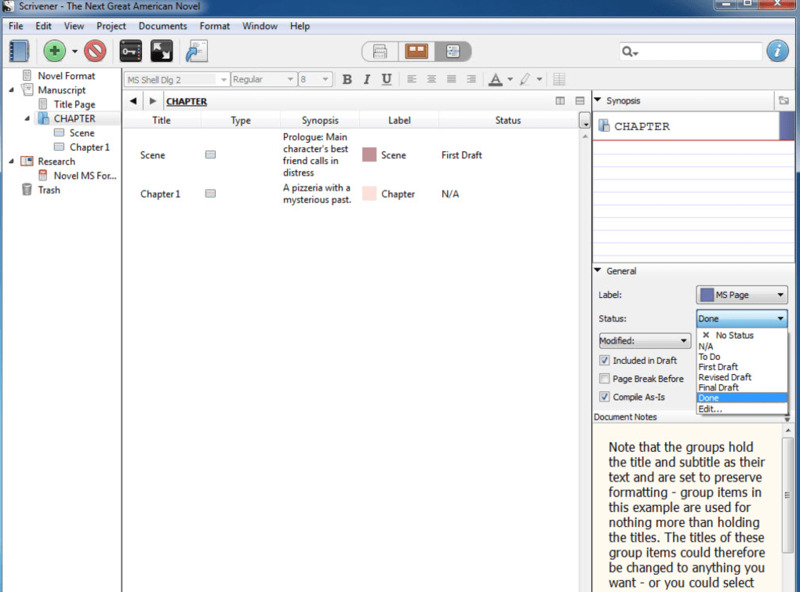 This version of Scrivener is relatively easy to install. A message appears immediately after installing, advising that for best results, new users should watch a 30-40 minute tutorial. This can be downloaded via the "Help" tab. Even without going through the tutorial, upon launching, Scrivener offers users the immediate ability to choose what type of writing project they want to work on. 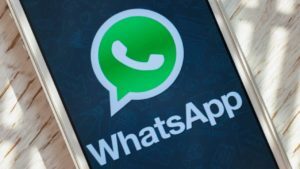 Some options include fiction and nonfiction works, poetry, and scripts. 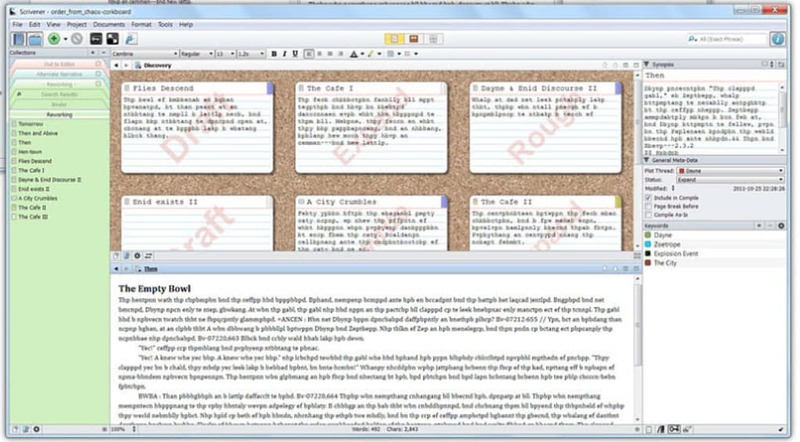 Each Scrivener document type allows for three unique views: a simple text version, the corkboard, and an outline format. Scrivener’s text version is exactly how it sounds; free of any extraneous information, you're left with only the plain text of the document in front of you. 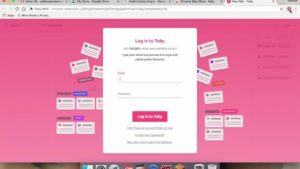 The corkboard view allows users to “pin” and categorize different scenes in their work with labels for chapters, scenarios, and concepts. 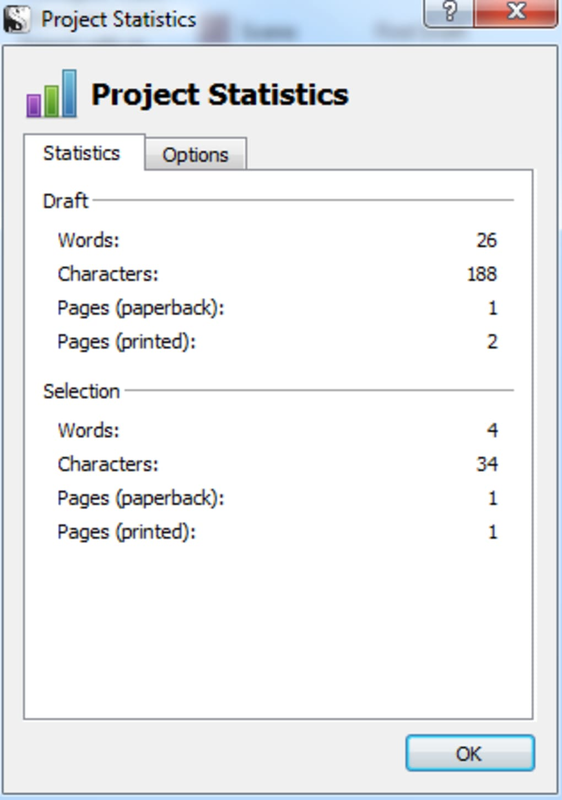 Scrivener users can also list a status to further describe each document, such as first draft, incomplete, and so on. Lastly, the outline view provides an organized list of all the documents you’ve saved in a particular project with each title, label, status, and a synopsis of their contents. Unfortunately, for a user who’s entirely new to Scrivener, learning how to use the program isn’t as intuitive as it could be. 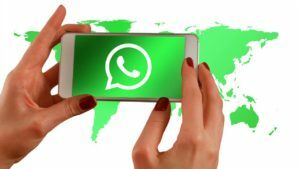 The video tutorial undoubtedly makes the learning process easier. Barring that, taking advantage of the interactive tutorial offered with this version is highly recommended. 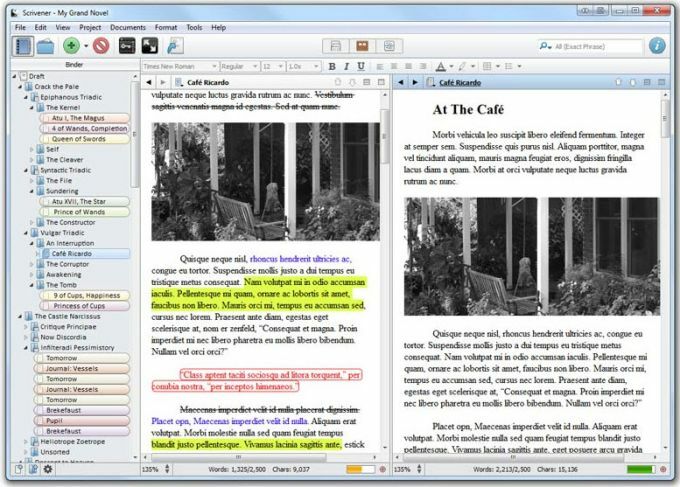 Overall, Scrivener is an excellent product for users serious about the organization of their writing projects. 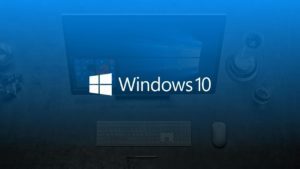 Promising but Windows version lags well behind Mac version's features. 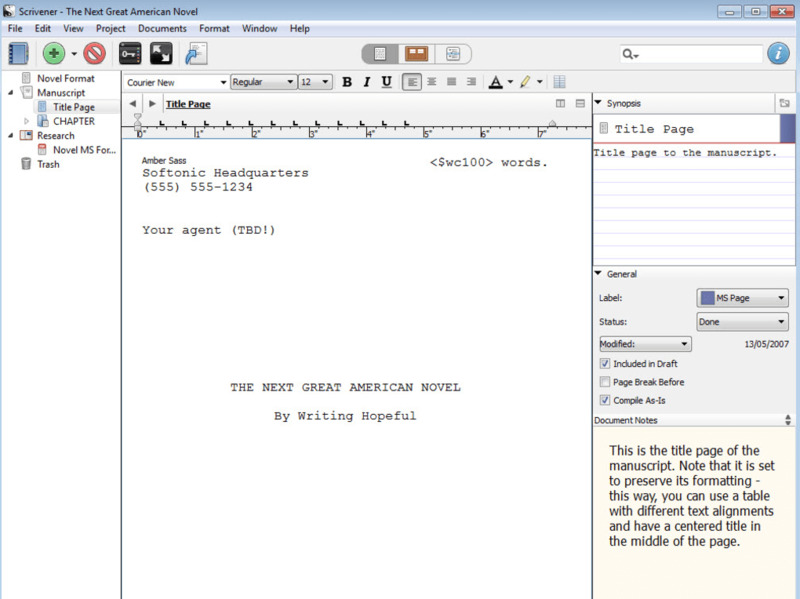 As a tool created for writers, Scrivener provides a nice range of features you won't find anywhere else from a compile to multiple formats which fixes everything from page formats to smart-quotes, to a scene-by-scene organization of your project to keywords and meta-words for tagging important persons, places, things, themes, etc. Overall, I recommend it to the writer over MSword or other general word processors but there is a long list of desirable features already available in the Mac version that are missing in the Windows version. 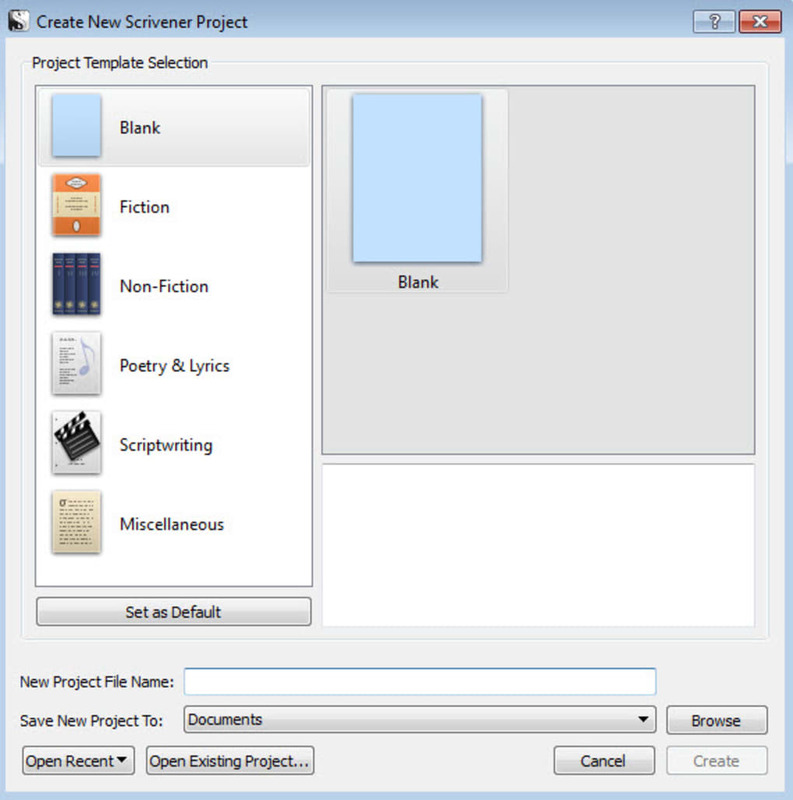 For instance, you will find the corkboard almost useless once you have blocked your project into chapters, comments are rudimentary, and also missing are a range of secondary but important features like exporting your outline to excel (so you can summarize your data in ways that Scrivener does not support) or doc templates.